​Skylights remain a practical way to utilize natural lighting inside of any building, reducing the need for electric light bulbs and fixtures. However, once the sun hits the surface just right, it can also lead to increased heat and glare during use. When too much light enters, it forces you to run your cooling systems more often, raising your monthly utility costs. And considering that your skylight was supposed to help minimize your power usage, it doesn’t make sense to ignore them. 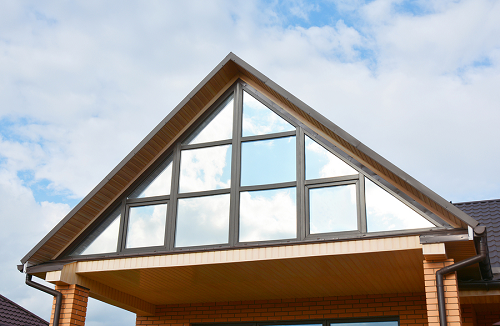 Instead, Window Tinting Brooklyn provides home skylight tinting that filters out more heat, light, and glare with one straightforward installation. Whether you need help keeping your residence comfortable or commercial skylight window tinting, we provide it all at affordable pricing. 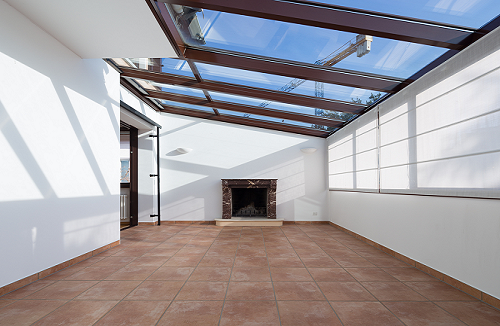 UV window film for skylights remains the practical way to enjoy natural light every day without sweltering rooms and glare. Contact our installation team today to hear more about your new glass tint and enjoy daily use of your skylights. When the typical skylight gets installed inside of your building’s roofing system, you may not see the need for tinting. However, many homeowners fail to notice how hot their place can get during specific times of the day from sunlight. Your skylight can also make it challenging to enjoy a sporting match on TV or play a movie to watch. Once the glare from the sun gets severe enough, you can’t make anything out on the screen or your laptop. Tinting the glass above helps to filter out unwanted heat, UV rays, and other annoying natural light hurdles to cross. You will feel a difference in the interior temperatures, as well as a simplified time looking at screens and electronics. Not only will you find yourself sweating less, but you won’t need to squint as much while watching TV daily. Give your eyes, and your thermostat, a break by keeping your indoors more comfortable with our skylight tinting products today. Many people don’t realize just how soon their favorite furniture sets and décor pieces will fade from daily sun exposure. Even though your things remain safely indoors, light, heat, and UV radiation will leave any items bleached before too long. Tinting any glass window will prevent more of the harmful side effects while allowing your family to continue enjoying skylights. Otherwise, you will see yourself hiring a painting company or purchasing new decoration pieces far sooner than you had anticipated. ​Our staff has installed and replaced countless window film treatments over more than 16 years, making us your experienced contractors. ​The best way to save more on your window tinting services is by choosing the installation team you can trust. No one else offers affordable prices and services or a higher quality of products than we do every day. Hire Window Tinting Brooklyn for your skylight tinting. Call us now to give your home or commercial space the best in daily UV protection and reduced cooling costs.